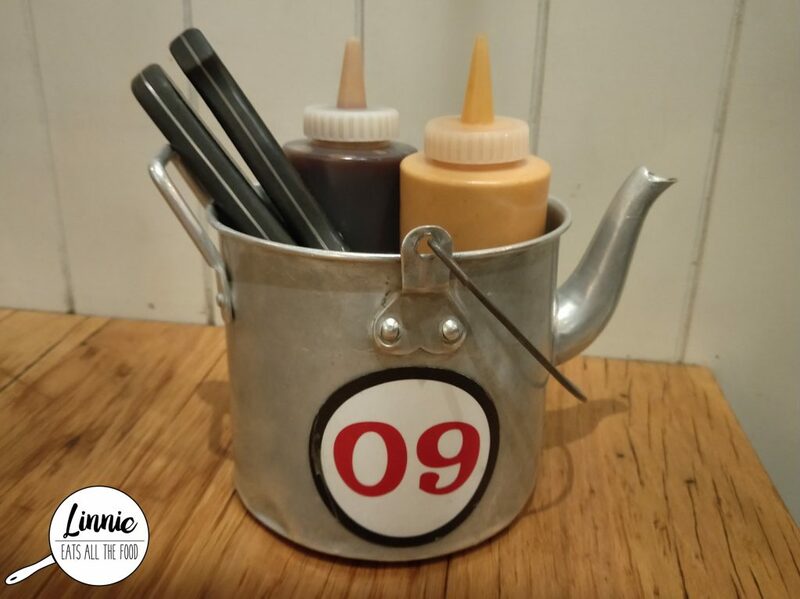 So before you snag a table, ordering is done at the front and then they give you a cute kettle with your table number, cutlery and condiments inside! Miss Asian Fusion absolutely loves the vanilla malt thickshake and insisted (when I say insisted I actually mean aggressively) that we get it, so we did. OH MY GOODNESS! Am I glad that I listened to her, it just blew my mind. It was so creamy, it was thick and the vanilla malt flavour, holy moly it was totes amazeballs. 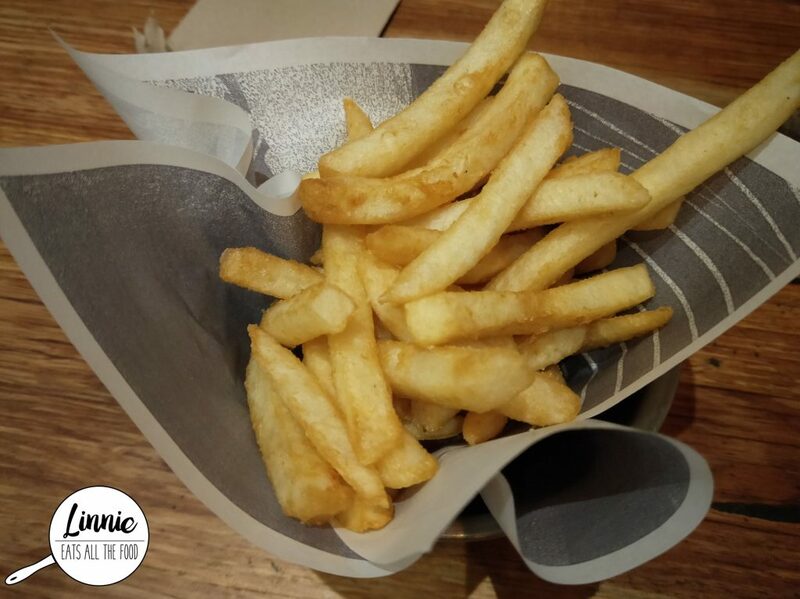 You can’t have burgers without chippies so we got a small side of the famous chippies and boy were they super crunchy. It did need a touch more seasoning though. 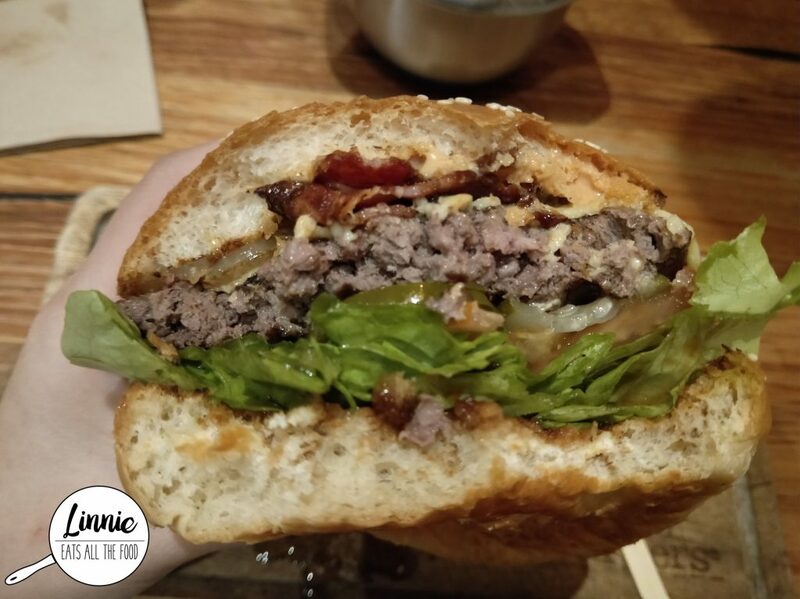 We got the wagyu bacon and cheddar burger and that wagyu patty was cooked perfectly, so juicy, so plump and oh soooo good. However, we did find the buns to be a touch too hard and not the usual fluffiness that I like and the pink sauce with the BBQ combined with the bacon and cheese made it a touch too salty. 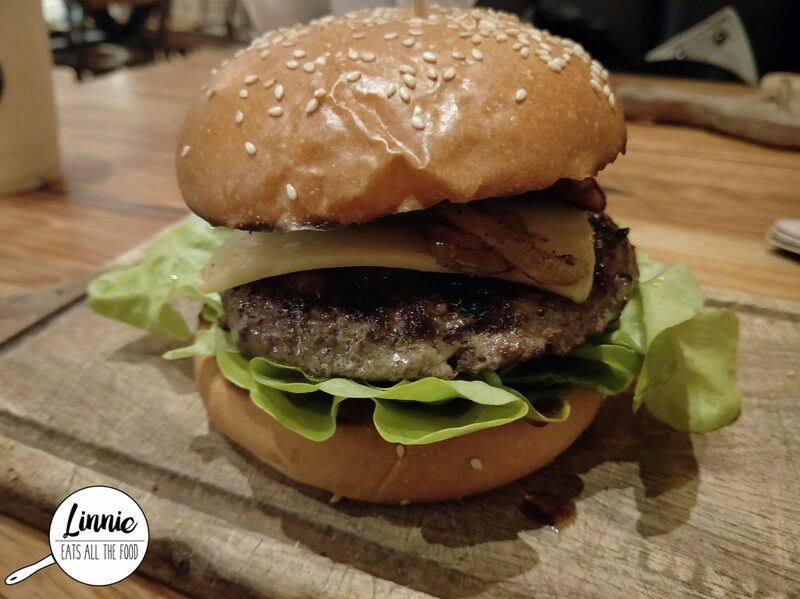 The new wagyu burger range uses great quality meat with fresh ingredients but do be prepared for a touch of saltiness if you get the bacon one. Other then that it was great! 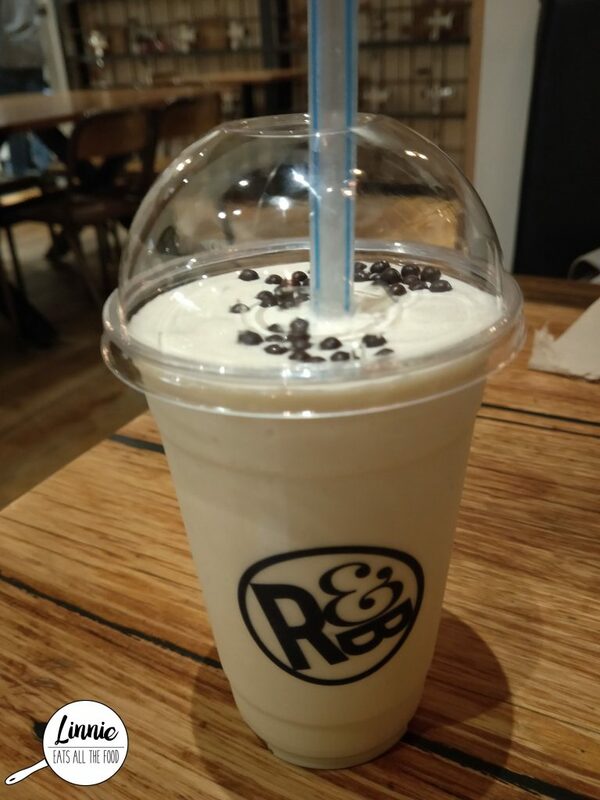 Oh, do yourself a favour and get the vanilla malt thickshake because that is the BOMB! 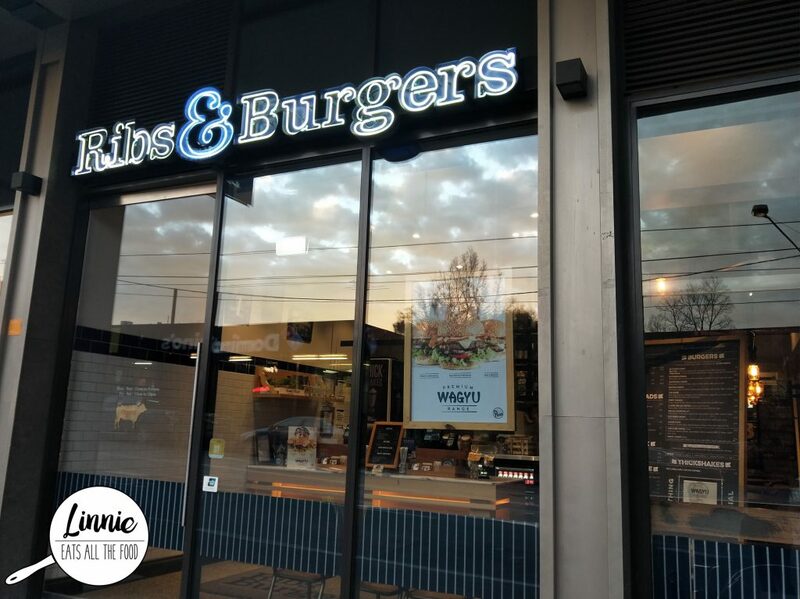 Disclaimer: I was honoured to be invited to dine by Ribs & Burgers and all opinions expressed are my own.